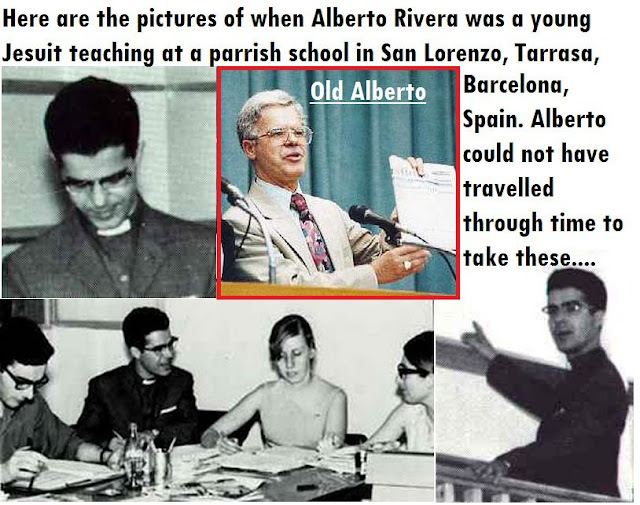 Alberto Magno Rivera Romero (Sept, 19, 1935-June, 29, 1997) was an ex- Jesuit priest who left the Jesuit order and exposed much of it´s crimes. 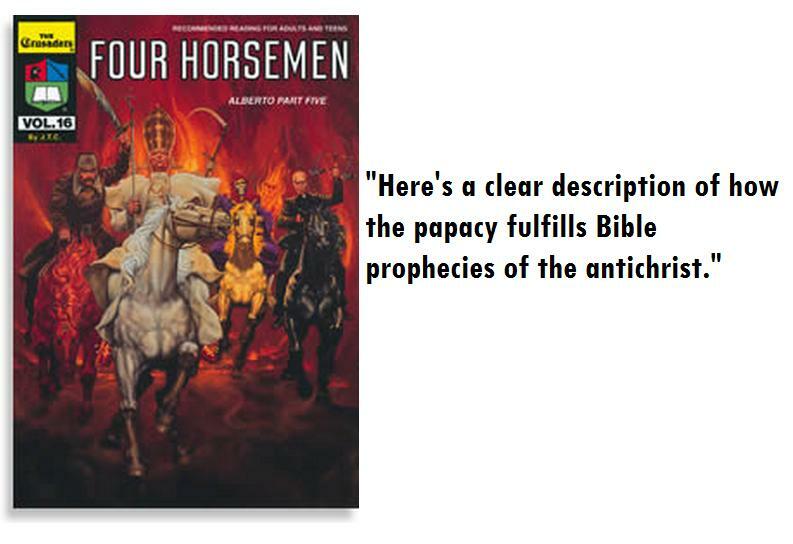 We will see his testimony to Jack Chick in his publications, examine the evidence and then we will examine what his attackers say about him and who his attackers are. 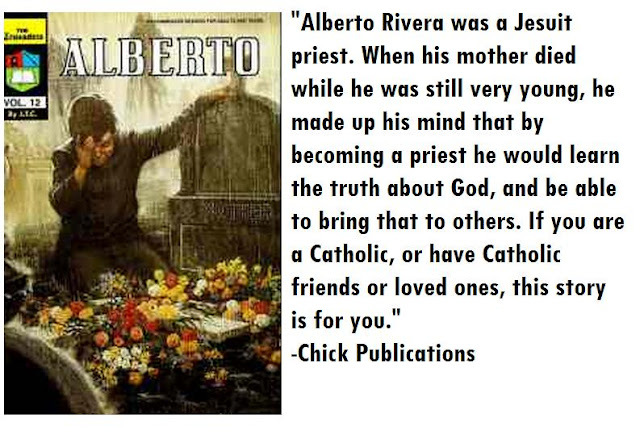 Alberto Rivera´s story is true, he was a Jesuit priest specially trained to infiltrate and destroy Protestant churches and found the truth while reading his bible. The Roman Catholic (Universal) church is the whore of Rev 17 and the Jesuit Order is indeed the reformed Knight Templars fighting for the Pope. 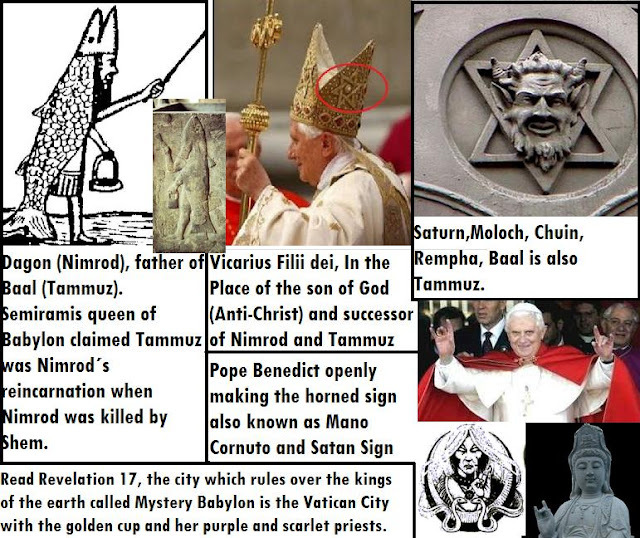 Click Here For Alberto Part 6: The Prophet which is Alberto Rivera´s testimony on how the Jesuit order created the Cult of Islam, you will also find the origins of Allah who is based on the moon Androgynous (Hermaphrodite) Deity which traces it´s origins to Semiramis Queen of Babylon and her husband Nimrod. "According to the Cornerstone exposé : Rivera had a 'history of legal entanglements' including fraud, credit card theft, and writing bad checks. Warrants had been issued for his arrest in New Jersey and Florida, and he was wanted by the Spanish police for 'swindles and cheats'; while in the USA in 1967, he claimed to be collecting money for a Spanish college, which never received this money. The details of his claims changed: In 1964 he said he had left the Catholic Church in July 1952, but he later put the date at March 20, 1967; despite this, he was still promoting Catholicism in a newspaper interview of August that same year. Although supposedly placed in the sanitorium in 1965 and held there for three months, he gave the date of his release as September 1967, leaving a period of over a year unaccounted. The document exhibited by Rivera to prove his status as a Catholic priest was fraudulently obtained and the Catholic Church denies his claims of having been a Jesuit priest or a bishop. He had only one sister in London; she was not called Maria, was not a nun, and did not live in a convent. In an employment form dated 1963 he claimed marriage to Carmen Lydia Torres, and the couple had two children in the USA when his own account had him a celibate priest in Spain. Cornerstone also questioned Rivera's claim to various degrees, including three doctorates (Th.D., D.D., and Ph.D.), reporting that his known chronology did not allow enough time for him to have completed these degrees and that he had admitted to receiving them from a Colorado diploma mill." Gary Metz and his false accounts are the only source of an attempt to debunk Alberto Rivera anywhere, notice how he only attacks Alberto Rivera as a person and fails to attack Rivera´s evidence and documents. 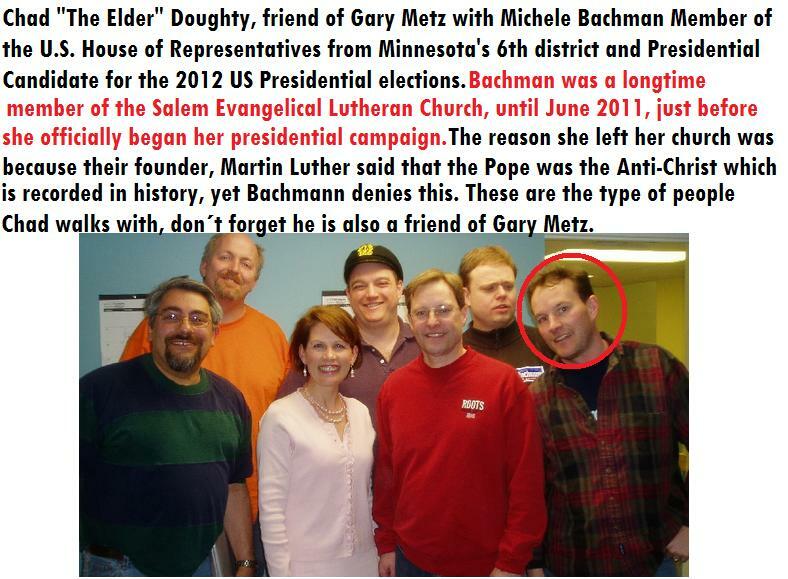 Let us see who this Gary Metz is and what type of people he associates and helps and recieves help in return from, we will also see Gary Metz´s connections. Soon after the Catholic website http://www.fraterslibertas.com run by catholic, Chad Doughty also known as "Chad the Elder" also called for help in support of his friend, Gary Metz. in the following screenshot we will see a post from Chad Doughty dated August 12, 2005 just 2 days after Gary Metz´s distress call for a new laptop. By these posts on both Roman Catholic Chad Doughty and Gary Metz we see how Metz is supported by a Roman Catholic blogger, not only that but these two mutually support each other on their websites. website´s members like to make propaganda against journalists that they dislike. Gary Metz has also been a member of FreeRepublic.com a website that deals with politics. This website has also tried to demonize Greg Szymanski, a researcher who writes about the evils of the Jesuit Order. we will see how they have used propaganda to demonize Greg by criticizing a journalist who praised his work. The following screenshot shows an article written by Ben Johnson. In 1984, on a show "Talk from the heart" hosted by Rich Bueller, Gary Metz debated with Alberto Rivera. 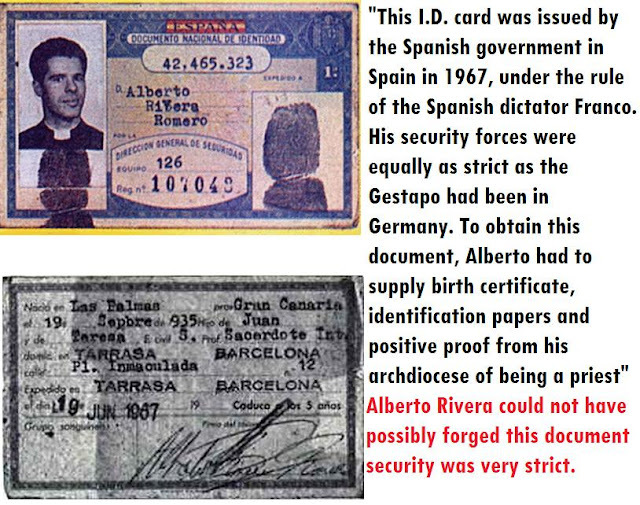 Gary Metz claims to have had a death certificate of Alberto's first son from the County of El Paso, Texas in 1965, Alberto answers, "you should PROVE that and make it public". Metz says "Sure, no problem". (But we have yet to see it and the Austin Bureau of Vital Statistics denies the certificate exists.) Metz ignored Alberto's question and instead, moves on to more accusations. Alberto seems unfazed at having two against one and seems more interested in trying to remember who Brian is. Brian explains some prior conversations he had with Alberto, when Alberto recalls him and makes the connection. He seems happy to speak with Brian again, but Brian talks fast and the two don't communicate very clearly. One of Alberto's claims, that deceased cult leader Jim Jones was a Jesuit, is challenged. Alberto sticks by the claim. Alberto also offers to make full sized copies of his documents and provide them to Chick Publications to give anyone who doubts them. James Bjornstad, is the Ohio director of the Personal Freedom Outreach, a supposedly non-denominational Christian organization dedicated to exposing cults and other religions. 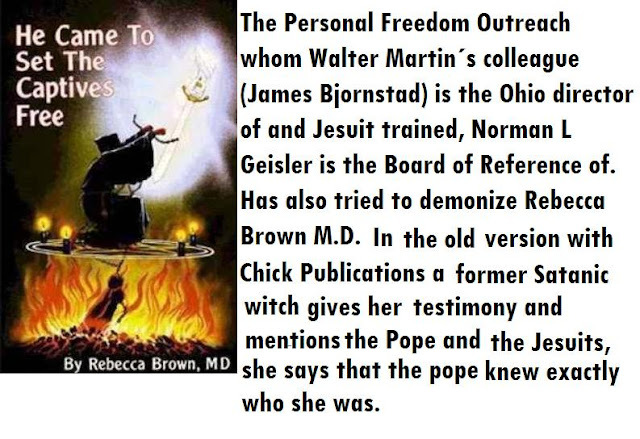 The following screenshot proves James Bjornstad works for the Personal Freedom Outreach. 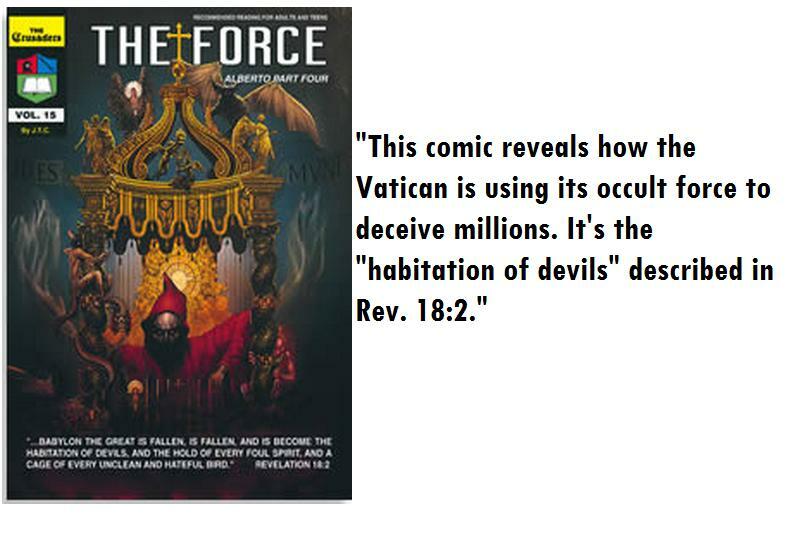 The Following Screenshots show the pages which involve the Jesuit order and the Pope, another editorial which is publishing "He came to set the captives free" has completely removed the mention of the Pope and the Jesuit Order. "I was surfing the net and found references to me on your site.Frankly, I was amazed that anyone would still be interested in this story. But I read several false statements posted about me and although I haven't begun to read all the comments on your site, I thought there might be some visitors to your site who would be interested in my response.This is not a detailed response since I haven't begun to read all the charges and counter charges, but let me focus on a couple that I noticed were being repeated as if they were facts. If this is posted on this website, at least you will know response to these charges. Let me preface this by saying that I had no axe to grind with Jack Chick. As a young Christian I used to distribute his tracts. That was in the day that his material was focused on simply spreading the gospel. I thought it was unfortunate that he later got caught up in variousconspiracy theories. His tracts took a darker tone from that point on and seemed to me to lack the clear, simple focus of this earlier work. But the accusation that I asked Jack Chick for a job and that was the motivation for the research into Alberto Rivera is absolutely false. I haven't read all of your posts, so I don't know where this started, but whoever started this rumor, lied. I can only assume someone made up this story in an attempt to discredit me. Unfortunately there is no way I can "prove" this, but I would like to be on record as denying it. God knows the truth. The fact is that my friends at Cornerstone magazine asked me to investigate the Alberto story. They would from time to time ask me to write for them. If they were getting a number of letters from their readers on a topic that they knew little about and thought it deserved more attention sometimes they would ask me to investigate. 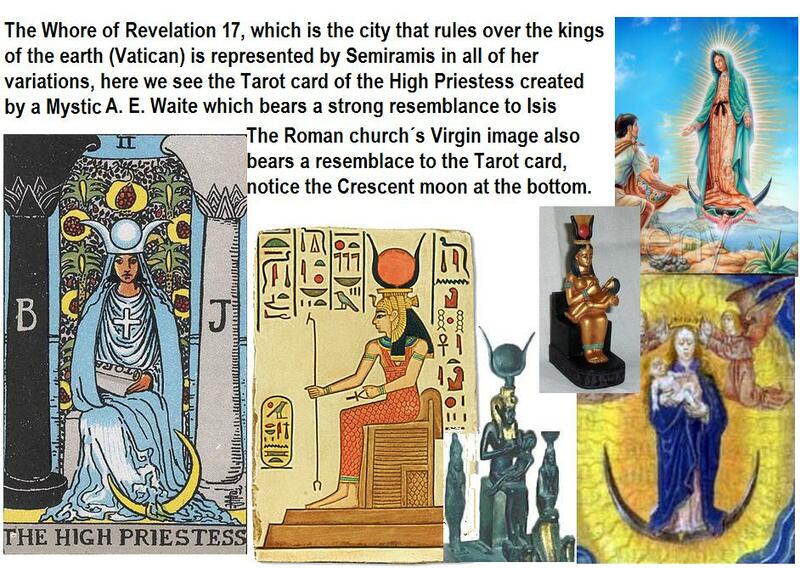 Since I once did research for Dr. Walter Martin, they asked me if I would do research of this sort for them. 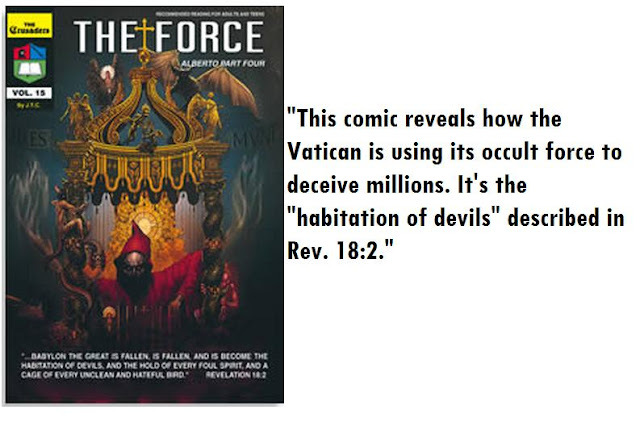 I had published several other stories for them prior to the Alberto story, including a brief investigation into Johnny Todd, another of Jack Chick's "sources." .The other blatant falsehood is that I never provided copies of my research documents to others. I provided documentation to Cornerstone magazine, to Christianity Today (their lawyers reviewed the documents and my story prior to their publishing the story). I remember sending out copies of these documents to perhaps hundreds of people making such inquires. Eventually due to the demand I created a small booklet with the major documents reproduced. I probably still have the documents in storage somewhere, if it would make a read difference to someone. But the documents are in circulation and can be verified. I verified them all myself over 20 years ago. To me it's sad, that people are attracted to the nonsense that Alberto produced. It illustrates how many in the Christian community would rather chase some grand international conspiracy than stay focused and do the work God called us to do. 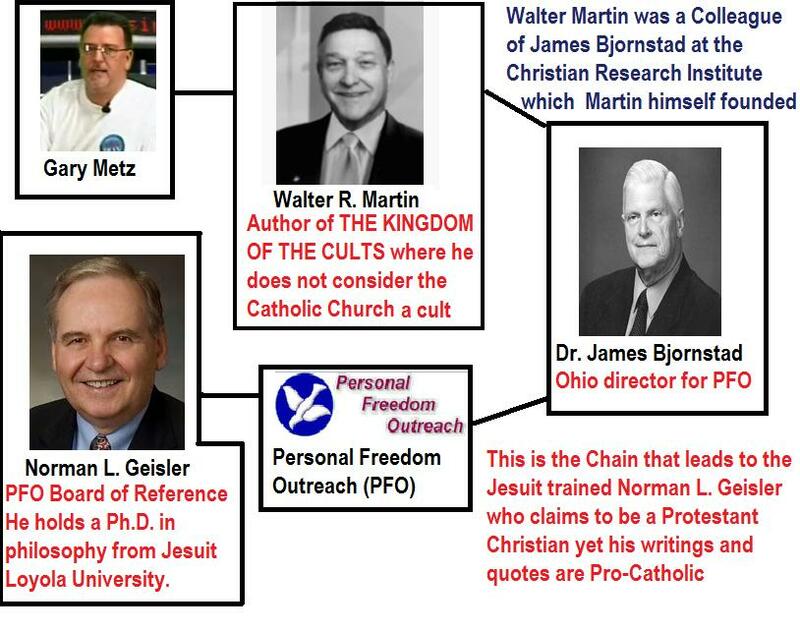 ...According to Metz he himself did research for Walter Martin and his institute which has ties to at least one Jesuit trained Individual (Norman Geisler). 1. How come Metz cannot provide any of the documents showing convictions for the crimes Metz accuses Alberto of in the USA or foreign lands? 2. 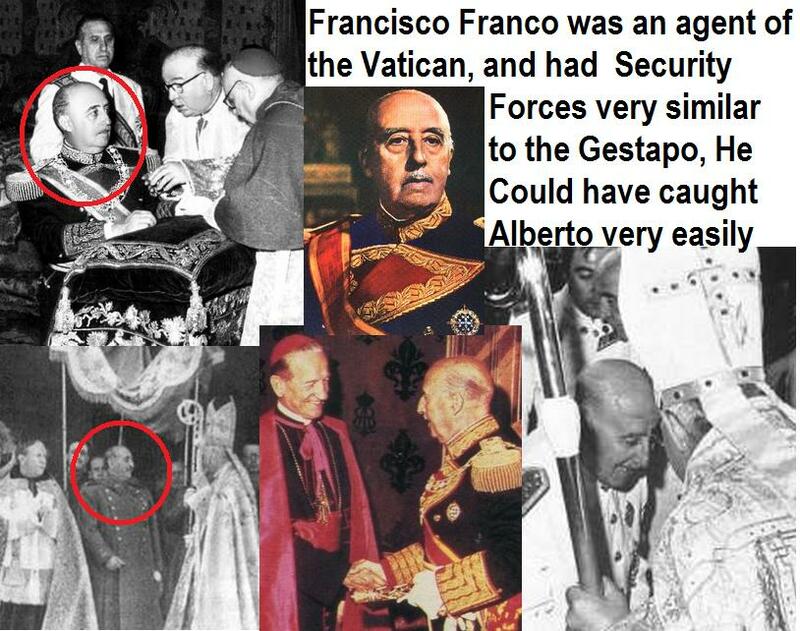 How come Metz cannot prove Alberto's leave of absence document from the Vatican is false? 3. How come Metz never even mentions Alberto's special I.D. 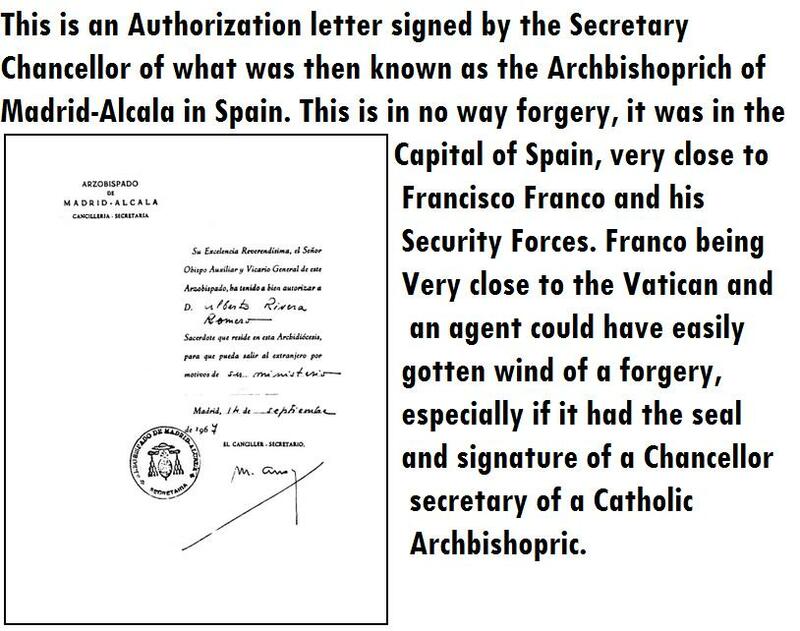 (as a priest) granted by the security secret police that requires a birth certificate and 9 major documents from other legal authorities in Spain? Metz claims he never says Alberto had any convictions (but didn't offer to provide the warrants for Alberto's arreast that he claimed to possess earlier). Alberto asks about the "convictions of illegitimate children" Metz claimed to have. (It seems what Alberto really meant to say was "proof", not "convictions".) Metz says he had a death certificate of Alberto's first son from the County of El Paso, Texas in 1965. Alberto says "you should PROVE that and make it public". Metz says "Sure, no problem". (But we have yet to see it and the Austin Bureau of Vital Statistics denies the certificate exists.) Metz ignored Alberto's other two questions and instead, moves on to more accusations. But most of Metz's evidence is from Catholic institutions, and Alberto counters that they are lying because the Vatican has instructed them to do so. Alberto Rivera Also provided physical evidence unlike Gary Metz. We will now examine the evidence provided by Alberto. 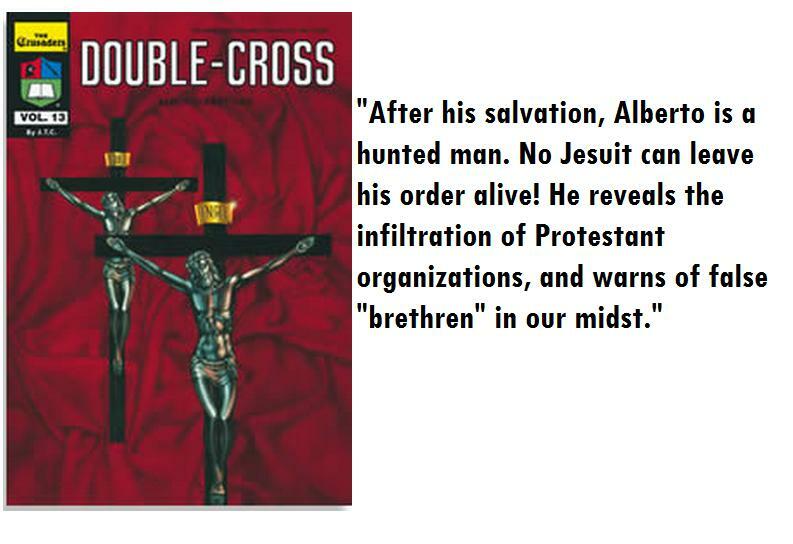 The Testimonials from Ex-Catholics on the comics which i posted are also evidence of Alberto Rivera´s testimonies, the Pope´s JHS templars are infiltrating every aspect of Christianity even the Counter-Cult Organizations like Personal Freedom Outreach. 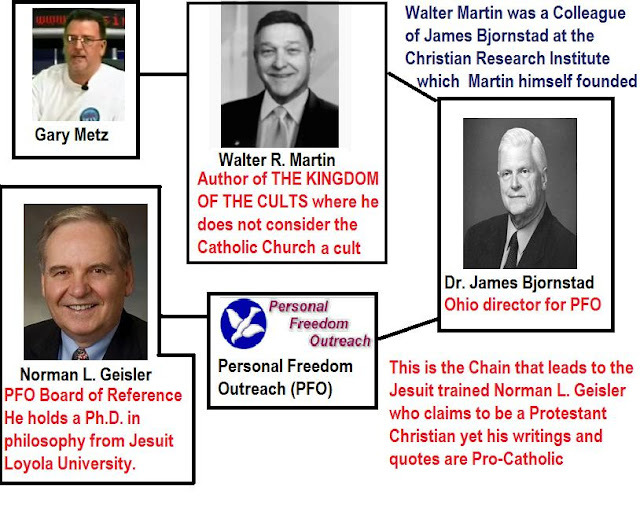 The conclusion to this investigation on Gary Metz is that his claims are completely false, not to mention the attacks are always from the same people and lead to none other than the Jesuit Order. 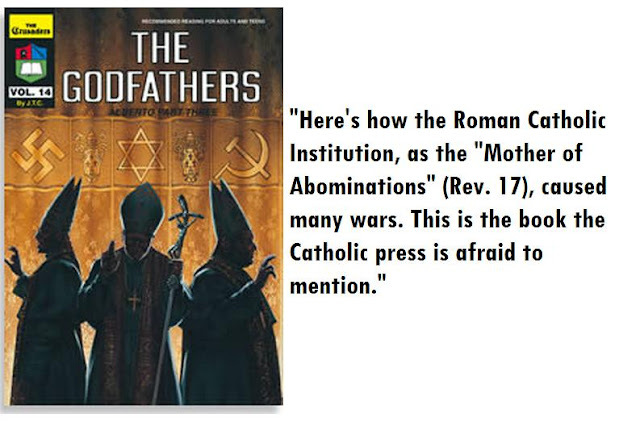 "In understanding Catholics, we must dispense with the picture of a pre-Reformation "Mother Church." The Catholic church today is an amalgamation of 'traditional, liberal, and evangelical theology. 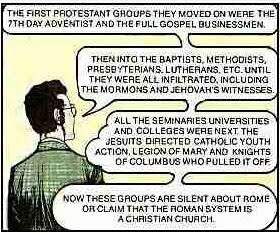 As the decade of the sixties progressed, and mainline Protestant churches were brought to new life by a latter-day Pentecost, a parallel movement occurred within Catholic circles. 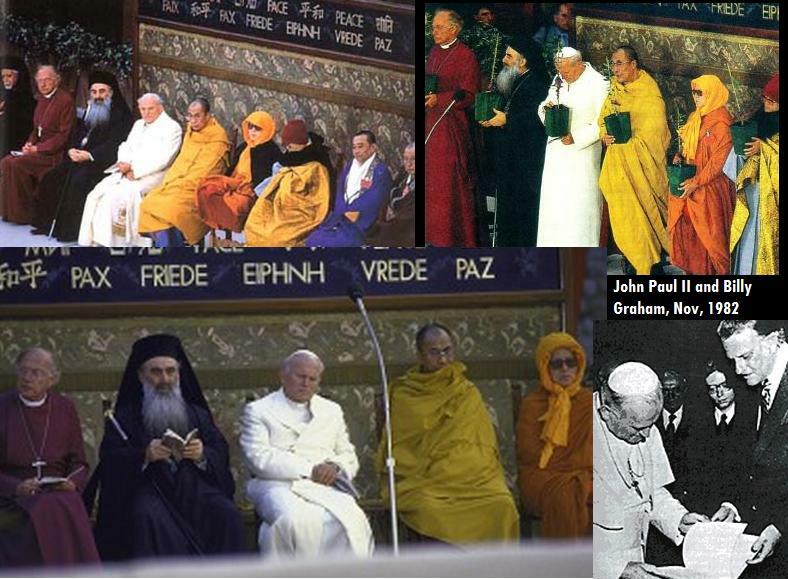 Called "the charismatic movement," Its effect became so strong that Cardinal Joseph Suenens was chosen by Pope Paul VI as a sympathetic overseer"
But is the Roman Catholic Church really Christian? And this is the website for the World Council of Churches (www.Oikoumene.org) In the following screenshots we will see how this website is operated by none other than a Roman Catholic. 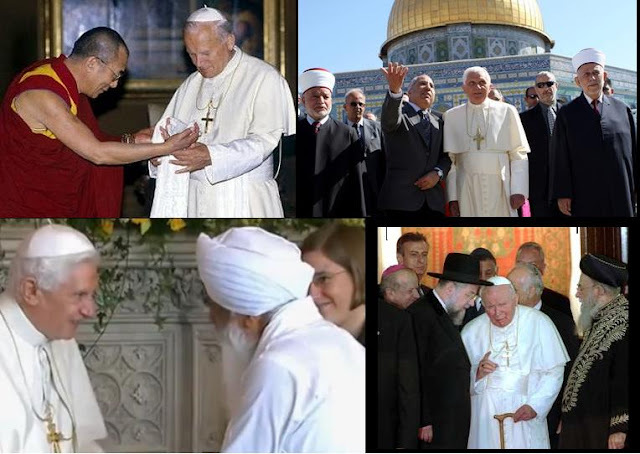 Oikoumene.org, this is the website for the World Council of Churches.